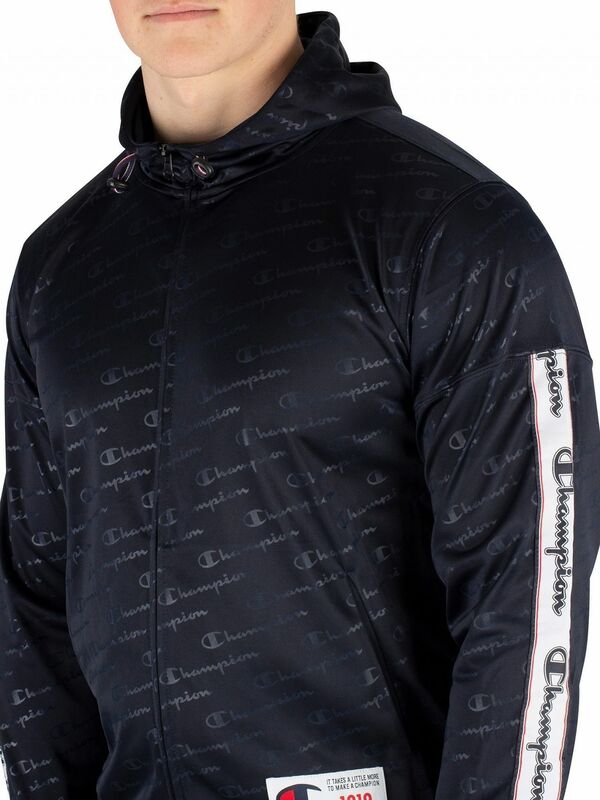 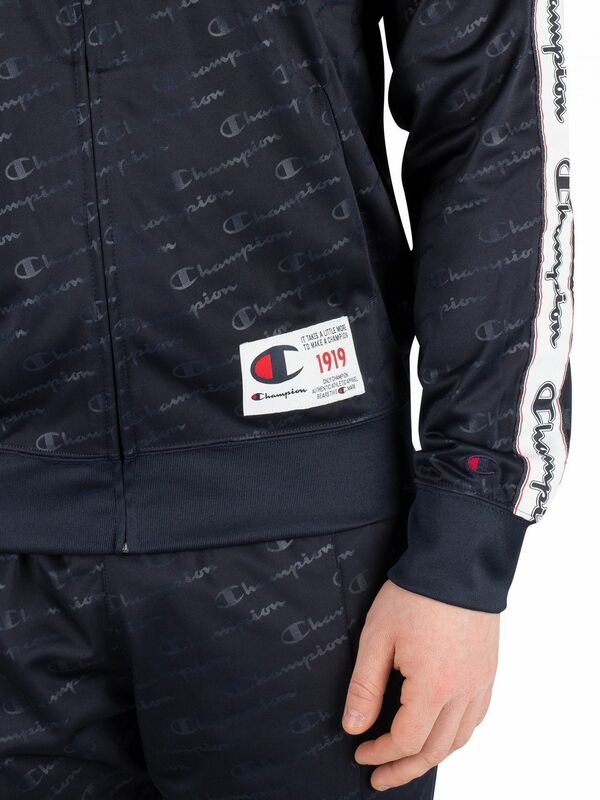 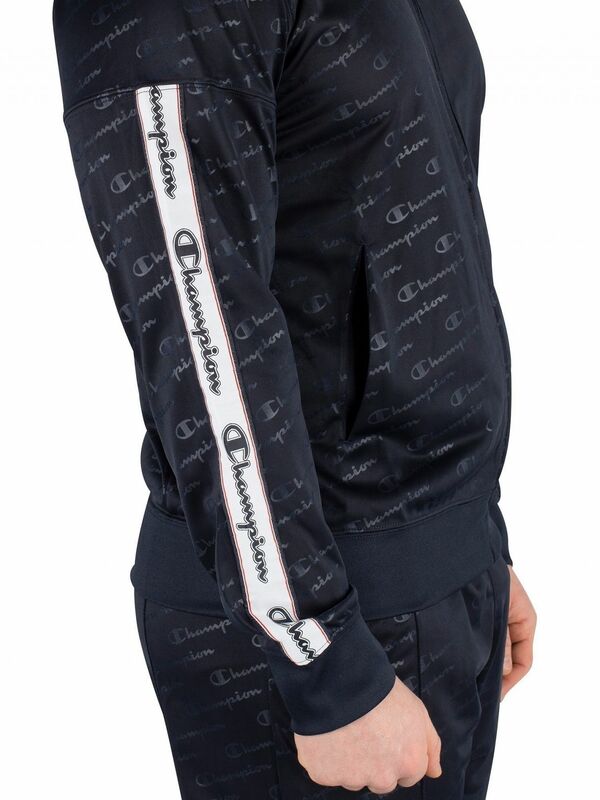 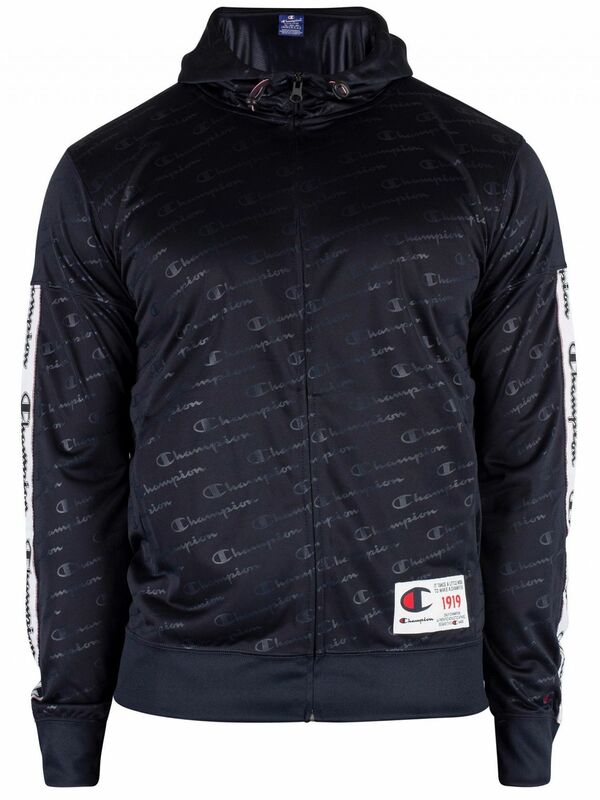 The All Over Logo Zip Hoodie from Champion comes with branded taping down both sleeves, featuring a stitched badge with branding on front and an embroidered logo above left cuff. 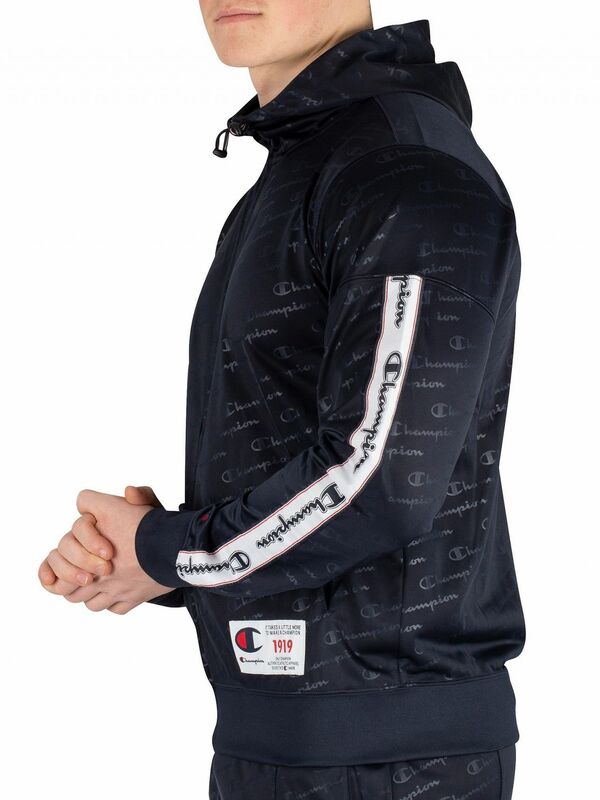 Coming in Navy colour, this hoodie features toggles for adjusting hood and zip closure. 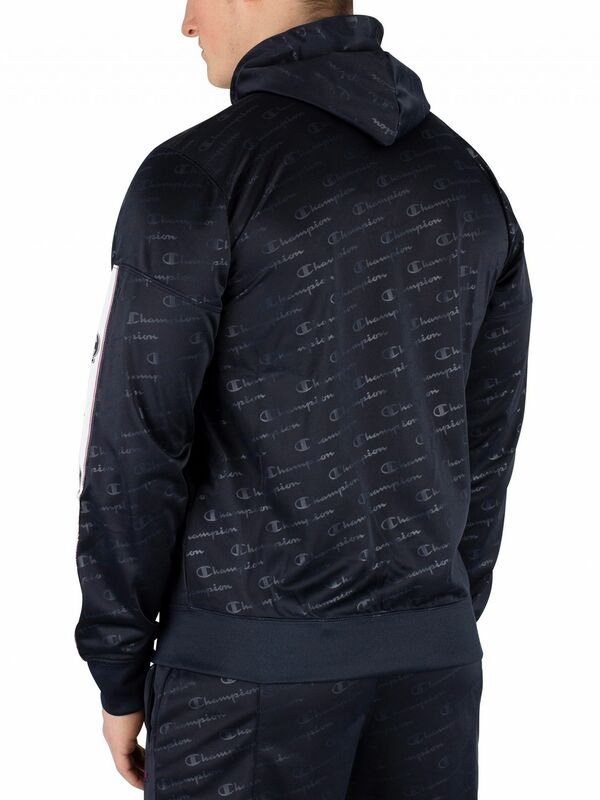 Featuring elasticated cuffs and hem, this hoodie also sports all over printed logo pattern.